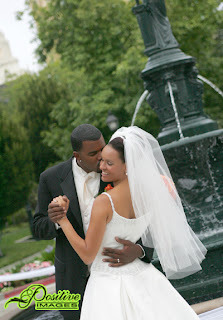 Some couples just make you think, "What a perfect couple" each time you see them. Alice and Kieron are just that type of couple. Alice prepared for her distinctive wedding in the lap of luxury at The Claremont Hotel Club & Spa, in the Berkeley Hills. 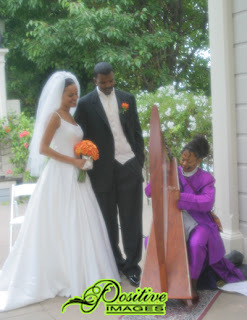 The lovely couple were serenaded by Oakland's own Harpist from the Hood, Destiny. Destiny, Sound Sculptress, mesmerizes her audience with the her musical imagery. She writes classical/ crossover eclectic jazz for for vocals and harp. Her voice and music is both inspiring and soothing. Get to know her better at Harpist From The Hood. It was so lovely to be a part of this beautiful couple's transition to becoming a family. This portrait session was commissioned to tell the story of the Great Expectation they are awaiting....a perfect pair, baby boy and girl! This Maternity Portrait Video contains some of our favorites from their portrait session, taken just days before the twins arrived. Congratulations! 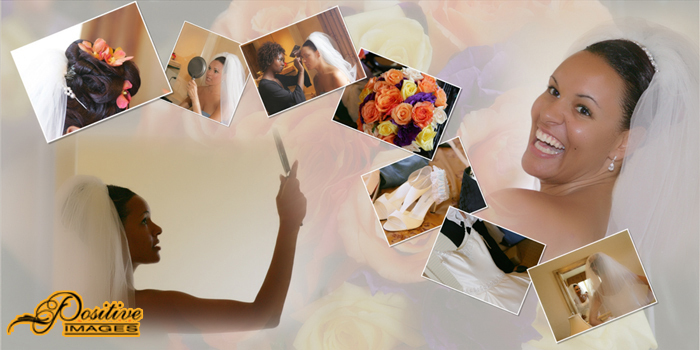 your Positive Images Family is very excited to see the Perfect Couple become the Perfect family!